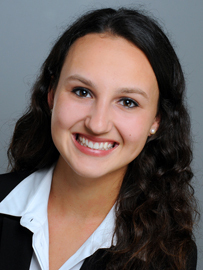 "Three years ago, I was deciding between several colleges that I could potentially go to. Having been a prospective mathematics and economics major with a business minor, one of the most important factors I was considering was the opportunity to gain one-on-one contact with my professors throughout my college experience. This led me to choosing UCSD, and I was definitely not disappointed. Through coffee with professors, office hours, and many honors series offered to students interested in Economics, UCSD offers a wide array of opportunities to get to know one’s professors and gain mentorship and guidance from them. With the many business organizations offered here at UCSD, I quickly joined the Undergraduate Economics Society, of which I am now President of, as well Women in Business. These organizations have helped me pursue my passions for female empowerment and business simultaneously. Through resources and guidance of remarkable math and economic staff members here at UCSD, who I have worked closely with, I have landed amazing internship opportunities, including at the start-up Portfolium, Inc., Porsche Consulting Group in Germany, and Geico. Currently, I am in the process of applying to numerous PhD in Economics Programs, along with Master Programs in Applied Mathematics. My campus involvements along with the conversations I have held with my professors have been very valuable pieces to my experiences at UCSD and in determining what path I want to take in my life!" Irvin Lan, B.S. 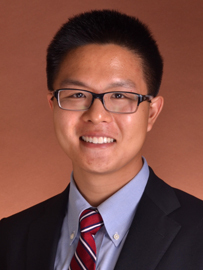 Management Science '16, shares: "UC San Diego Economics has helped me grow in so many ways. It has taught me to approach problems analytically, and to take ownership of challenging tasks. The econometric research paper has prepared me well for my current demanding job. It was an opportunity to work with and analyze raw data as it would be presented in the real world. The experience and lessons learned were significantly insightful and will carry over to shape the rest of my career in finance and accounting." 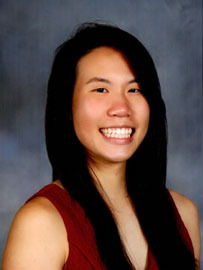 Yolanda Xue, B.S. Joint Math and Economics '17, will be moving on to Cornell University's Economics Ph.D. program in the Fall. Reflecting on her time at UCSD, she summarizes that "at the Department of Economics, we can always get help as long as we ask. I am glad that I have reached out for opportunities and challenges that help me build my pathway as well as myself. I gained more whenever I stepped out of my comfort zone. Do not be shy and take advantage of the resources." 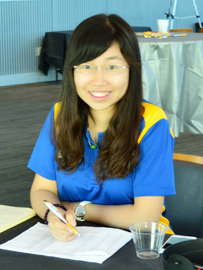 Jenny Wu, submitted her SIR to join our undergrad program in Fall 2017 after meeting Chair Eli Berman at Triton Day. She says she "chose UCSD econ because it's renowned econometrical approach will truly allow me bring the theories of economics to life." Why Choose a Top Research Institution as an Undergrad? "I teach introductory macroeconomics. One of the skills I teach is how to evaluate the current data to see how the economy is doing and where it is expected to go. I am able to do this because of years of research using macroeconomic data. Also, since it usually takes years for the latest research findings to make their way to undergraduate textbooks, I keep students up-to-date on the latest research findings. I also give them insight into why policy-makers are pursuing particular policies. For example, I have known the former Fed Chairman Ben Bernanke since I was a graduate student and am well-acquainted with his research. Thus, I can explain to students why the Fed responds so vigorously to credit problems. In a nutshell, the advantage of having active researchers teach undergraduates is that they can take the students far 'beyond the textbook'."